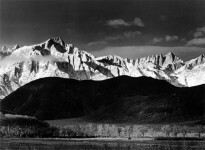 Ansel Adams is widely regarded as one of the most famous photographers of all time, particularly in reference to his striking images of the American wilderness. 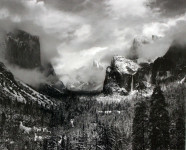 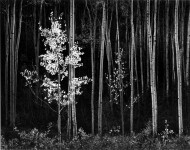 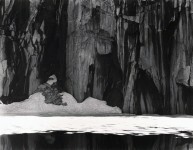 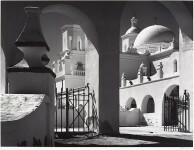 Adams placed great value upon technical mastery of his craft, carefully evaluating gradations of light in the image, manipulating degree of exposure, and constantly experimenting with new techniques. 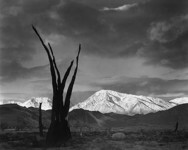 Along with contemporaries Imogen Cunningham and Edward Weston, Adams founded the group f/64, devoted to what they termed “straight photography,” as opposed to staged or embellished images. 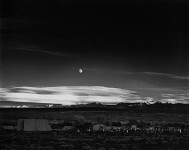 Adams was also pivotal in the establishment of the Department of Photography at the Museum of Modern Art.